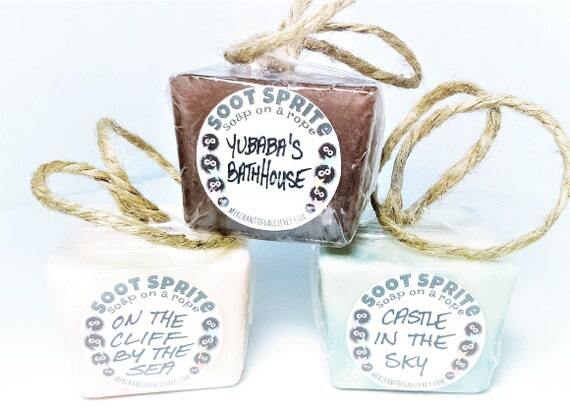 Today I debuted 4 soaps for my Soot Sprite (Studio Ghibli inspired) line. 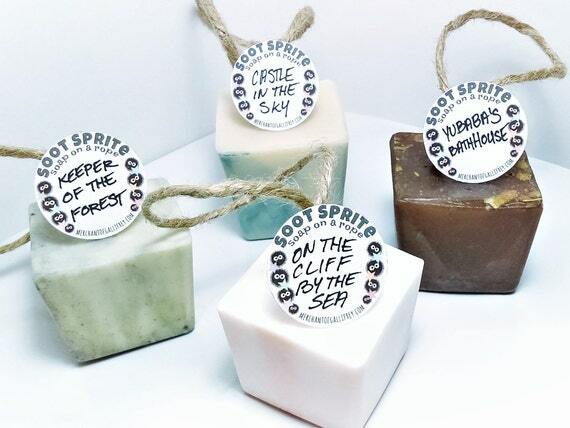 The neat thing about this soap is that it’s not just ordinary soap, it’s soap on a rope! //Fragrance notes// datura, vanilla, blueberry, violet, red currant, tonka bean, frangipani, pomelo, sandalwood, musk, vetiver, patchouli, and mandarin orange. //Fragrance notes// clean green notes, lily-of-the-valley, pepper, wood notes, jasmine, rose, white musk, bergamot, lemon, peach, black currant, vanilla, and Akigalawood. 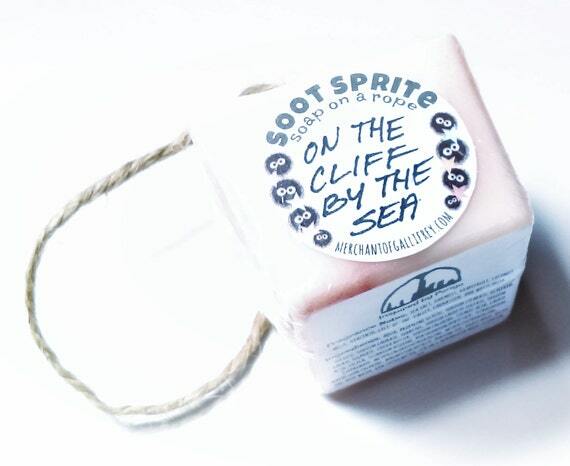 //Fragrance notes// sea salt, oakmoss, grapefruit, coconut milk, hyacinth, lily-of-the-valley, carnation, and white musk. //Fragrance notes// moss, musk, chamomile, spearmint, labdanum, peppermint, galbanum, clove, gardenia, rose, ylang-ylang, linden, amber, patchouli, jasmine, and grapefruit.